Welcome to our elegant three bedroom, two bathroom townhouse located in Las Brisas within the world renowned La Manga Club in Spain. Our property with direct access to the private community pool is a wonderful holiday home, decorated to an extremely high standard combining contemporary living spaces with chic marble. There are three good sized bedrooms providing plenty of living and sleeping space for you, your family and guests. 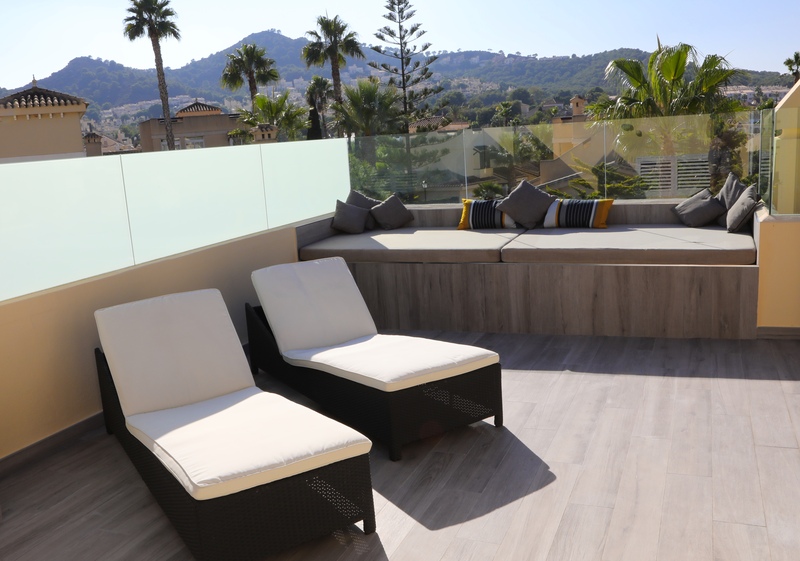 The fabulous roof terrace is generously sized to relax and soak up the sun with stunning views across the La Manga resort to the hills on the horizon. There is also a pergola to offer some shade. A second terrace is accessed from both the kitchen and the living area, offering additional outdoor space and access to the pretty, private community gardens and the lovely communal pool.